PLUSCO 855MG Inhibited Sucker Rod Make-up & Break-out Lube is formulated as a high performance lubricant to be used in make-up and break-out of sucker rod connections. PLUSCO 855MG Inhibited Sucker Rod Make-up & Break-out Lube is insoluble in water and resists water wash-out. It provides protection against galling, seizing and wear. 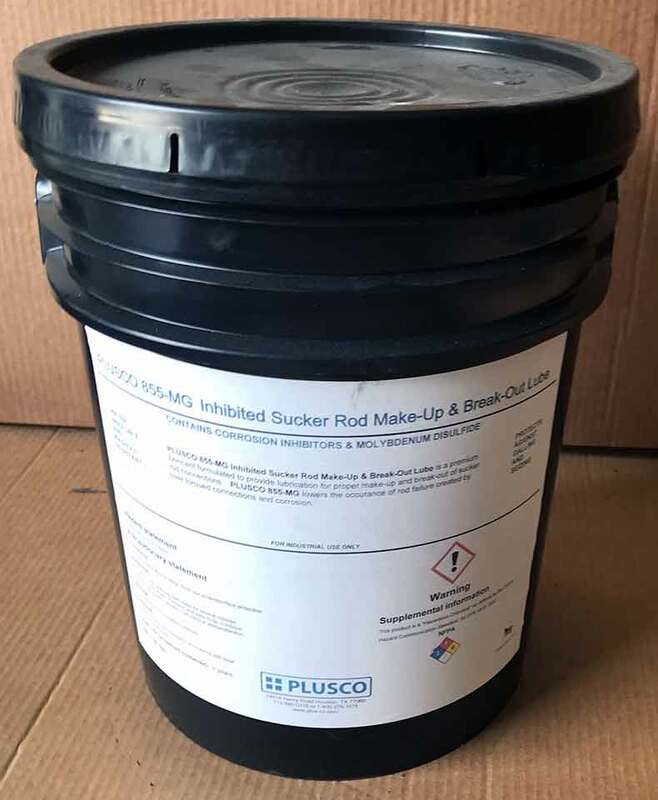 PLUSCO 855MG Inhibited Sucker Rod Make-up & Break-out Lube can lower the incidence of rod failure created by over-torqued connections, H2S corrosion, and threaded anomalies created by insufficient lubrication. PLUSCO 855MG Inhibited Sucker Rod Make-up & Break-out Lube is applied by brush. When apply PLUSCO 855MG to the threads of the pin connection end, the shoulder should remain dry.